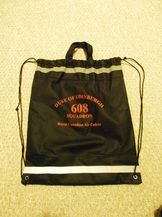 Get a "608 Dukes" branded sports bottle and/or sports bag. ﻿These items are great for Summer Training, Sports Nights, Field Training Exercises, and much more! Pick up yours from the Squadron Sponsoring Committee today! A Link to the Order Form is located at the bottom of this page. 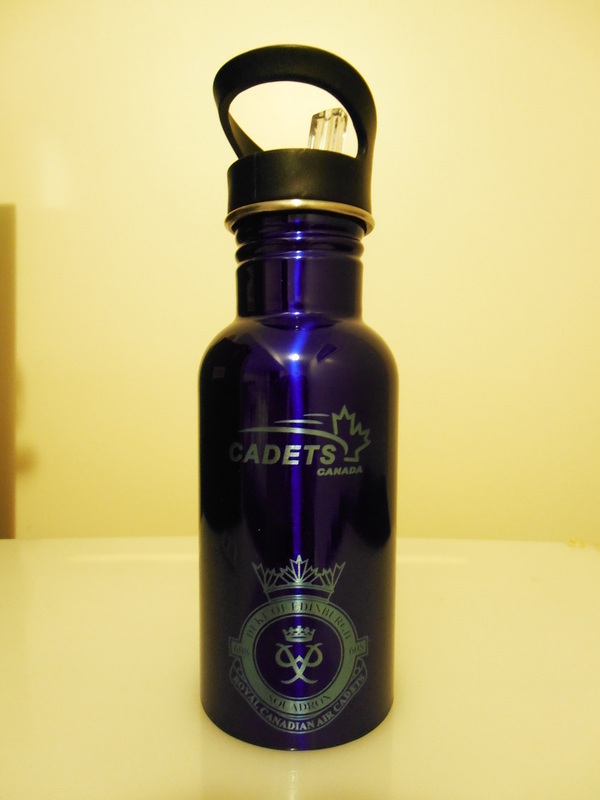 A blue metal sports bottle with flip-up spout and carry handle. 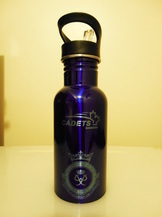 Laser-etched with the Cadets Canada Logo and 608 Squadron Crest. A black polypropylene drawstring backpack with carry handle and reflective stripes. 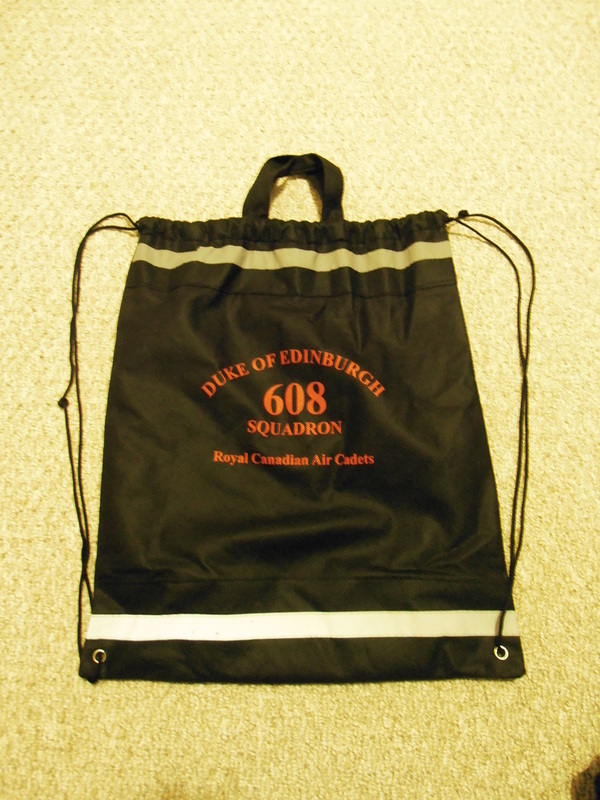 Printed with 608 Squadron branding on one side, in red text. CLICK THE BUTTON BELOW TO OPEN THE ORDER FORM.